Vacation rental house. 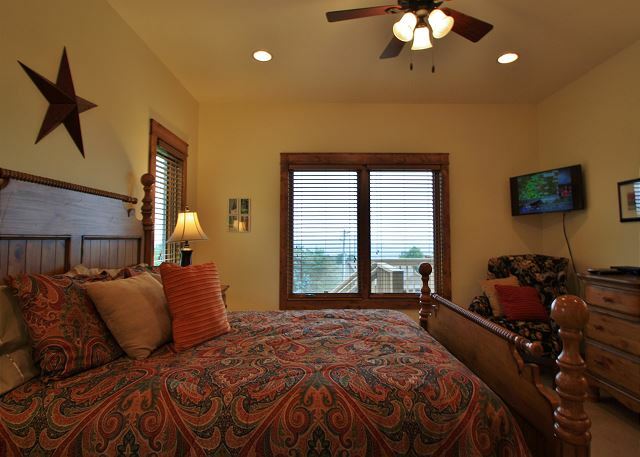 Sleeps 9, 3 bedrooms, 2.5 bathrooms. No pets allowed. 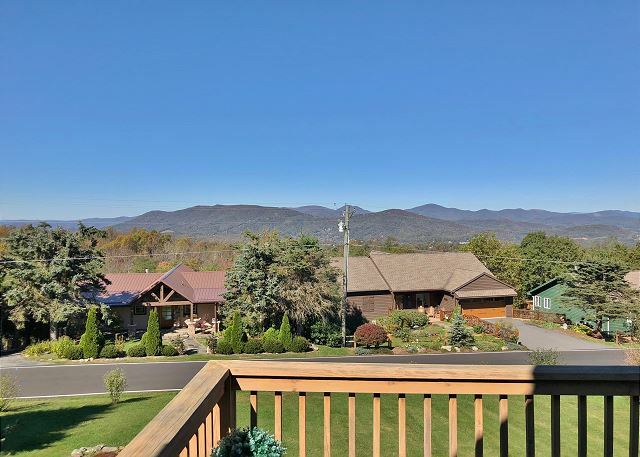 Serendipity is a fabulous vacation home perched high above Appalachian Ski Mountain, on Alpine Drive, and is a convenient 10 minute drive to downtown Blowing Rock. 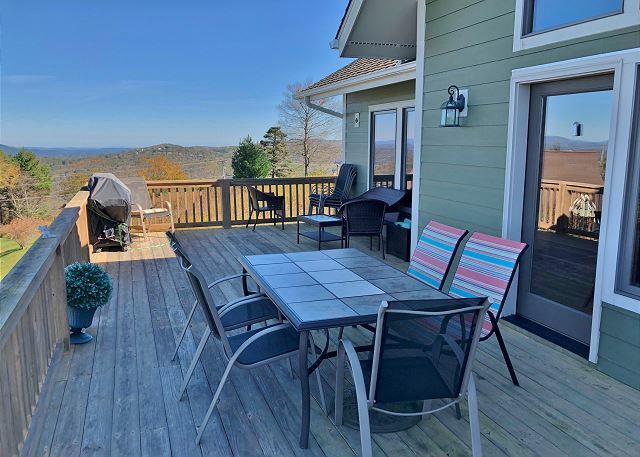 This 3 bedroom, 2.5 bath home offers breathtaking views, and comfortable surroundings, throughout the year. 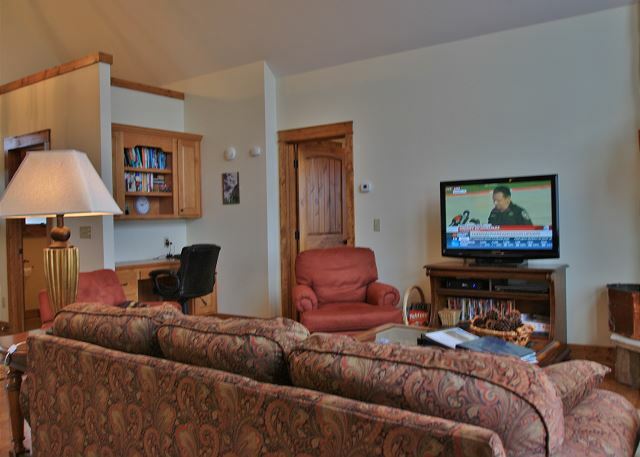 The living room on the main floor includes flat screen TV, cable and WiFi access, gas fireplace, comfortable seating, and beautiful hardwood flooring. The dining room table seats eight comfortably, as well as extra seating at the bar. 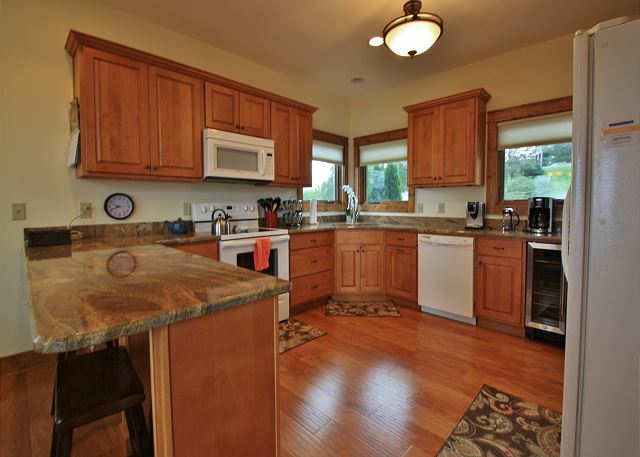 The fully equipped kitchen offers comfort and space that's perfect for every occasion. 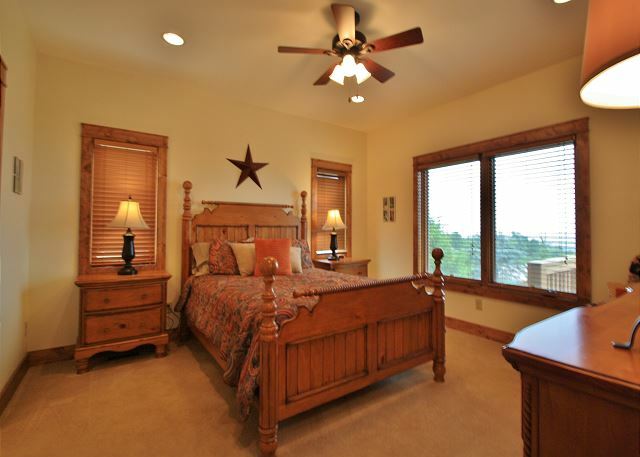 The master bedroom is on the main floor, just off the living room, with queen bed, flat screen TV, and a private bath that's handicap accessible. 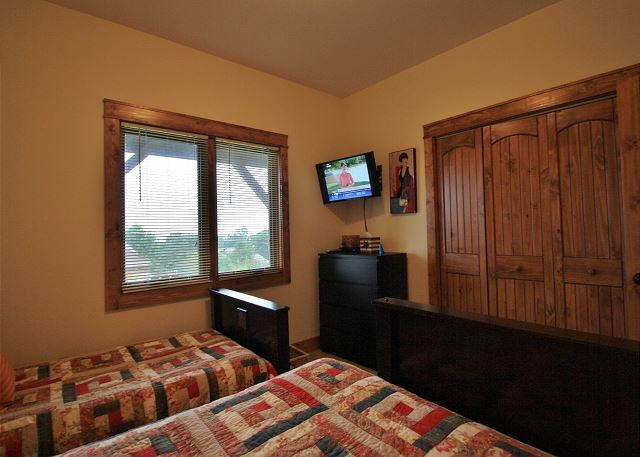 Downstairs you have the remaining two bedrooms- the kids room is straight ahead, with one double, one twin, with flat screen TV, and to the right is the 3rd bedroom with queen bed, and flat screen TV. 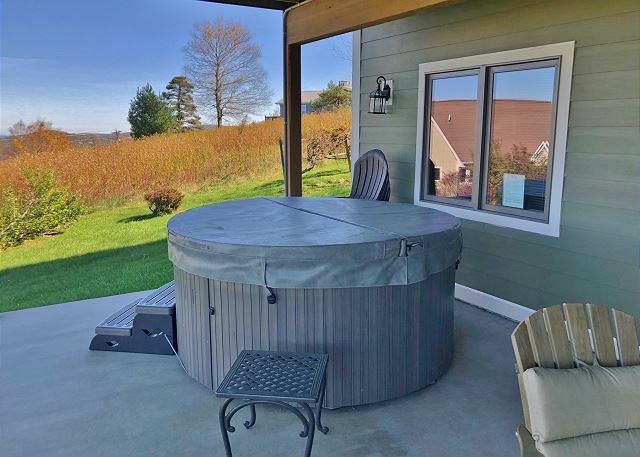 Hot tub is on the lower deck of the home. BBQ gas grill on top level deck has quick connection with in-house propane and fire pit in the back yard with plenty of space for roasting marshmallows in the summer. 2 car garage and parking on main level and lower level. Handicap accessibility on main level of home. Central A/C throughout the house. No pets. 4 wheel drive recommended for winter weather. Property maps may not be accurate on 3rd party web sites. Please contact the office directly for exact property locations. What a great Thanksgiving holiday we had at Serendipity. Our whole family spent a week at this lovely home. 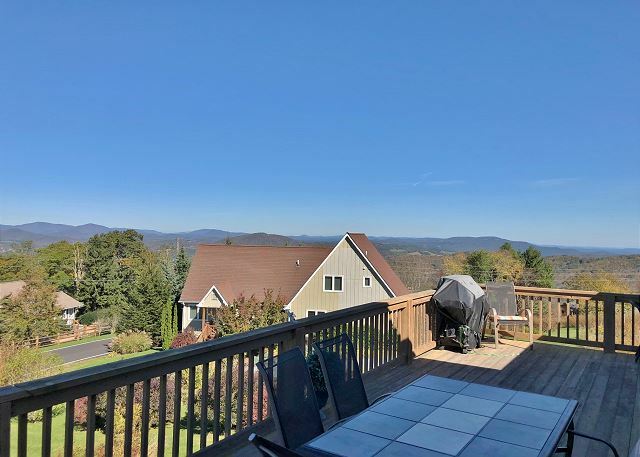 The view is spectacular, the house is spacious and clean, the kitchen was very well stocked and the children loved the bonus of having a hot tub. 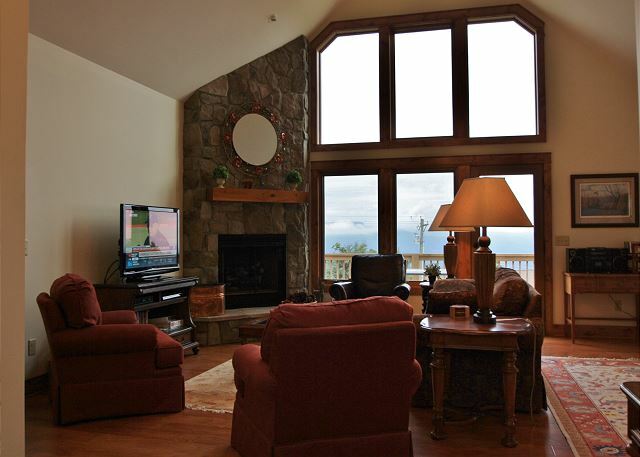 Perfect house for a ski trip, as Appachlian Ski Resort is right down the road. 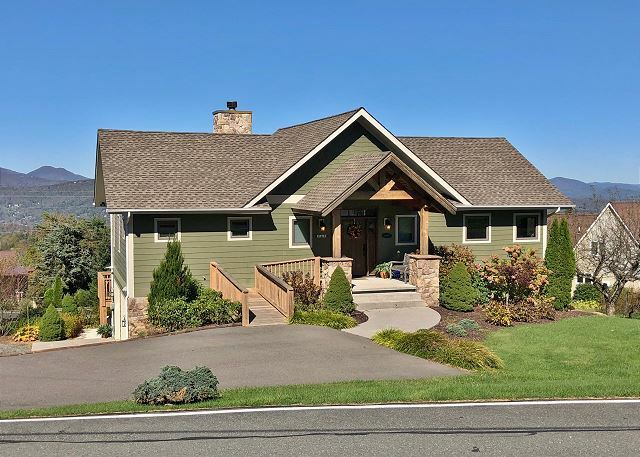 We will highly recommend this home. Had a great weekend in spite of the rain enjoy working with Brad at Jenkins. Grand children had a fun Saturday in Blowing Rock with all of the halloween activities. The house has been well taken care of and was in as good of shape as our first year staying there. 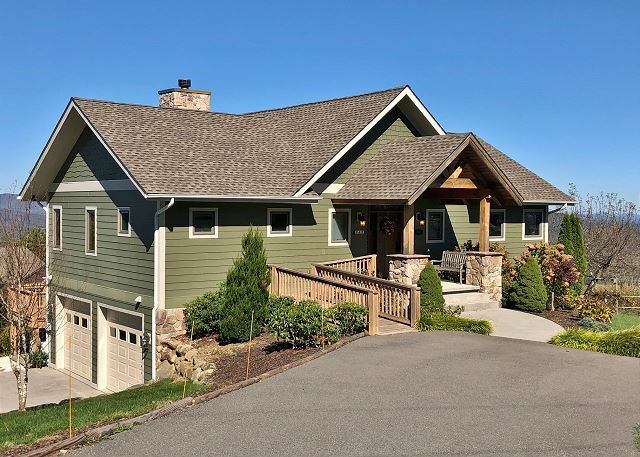 This rental is the best we have ever stayed at while vacationing in the Blowing Rock area. We really enjoyed our stay at Serendipity this summer. The home recently rebuilt had no faults. 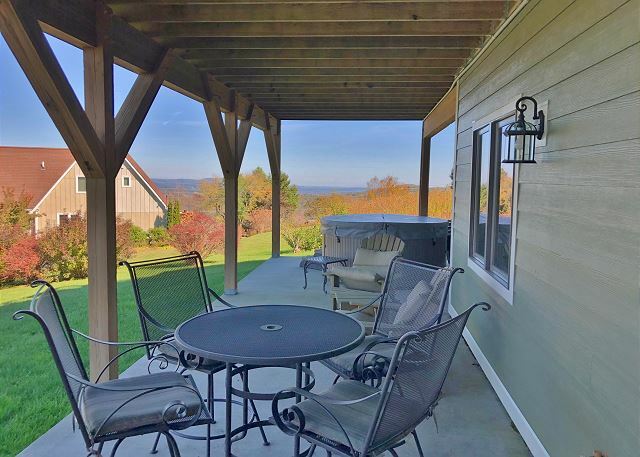 It was designed to give the occupants the best views of the Blue Ridge mountains. This was our 2nd stay in this lovely home, and we plan to stay again in the future. 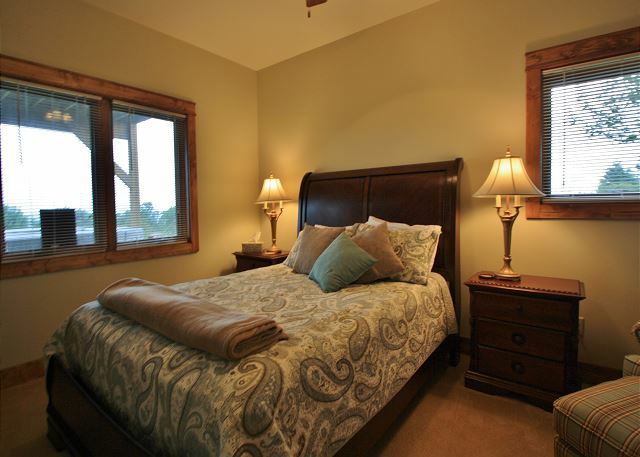 The home is very comfortable and offers everything we need for a pleasant vacation stay. We especially enjoy the views. We absolutely loved staying at Serendipity! The location was great! Close to Blowing Rock and Boone. We picked Serendipity because it was so close to the Appalachian Ski location. The house had everything anyone could need. The home had real nice, comfortable furniture in the sitting area with a lovely stone gas fireplace that we thoroughly enjoyed. 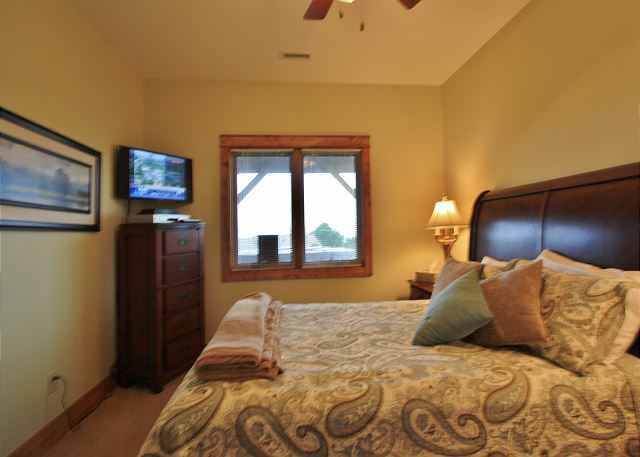 The bedrooms are beautifully furnished, including flat screen TVs, and the beds were all comfortable. The kitchen had everything you need including two different coffee makers and crockpot (which we used). 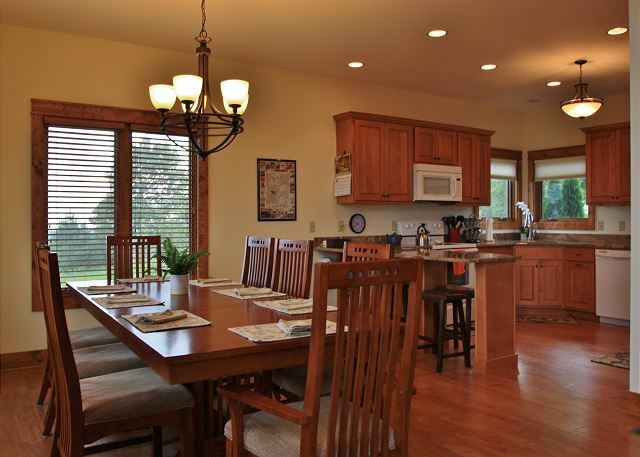 The dining area was big enough for our family of 9. The added blessing was the two car garage which came in great on a cold, rainy day. We felt like we were home! Most of all, renting from Jenkins was wonderful! We actually visited them in November to see what was available for our ski trip in February. They allowed us to look at three homes before we even rented. They were courteous and friendly from start to finish. 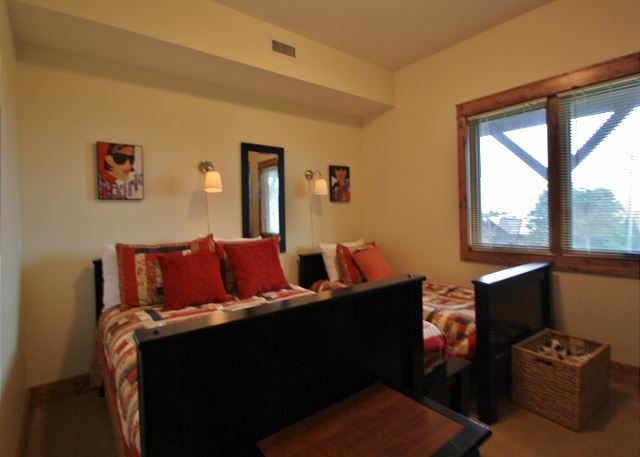 The staff made the process of selecting and renting so easy. We will definitely look forward to renting with Jenkins again. The staff at Jenkins was a pleasure to deal with. I spent a good deal of time on the phone with them trying to find a place to please my entire family and everyone loved Serendipity. The house is new and had everything we needed for a great weekend stay. Hi Coach Mason! 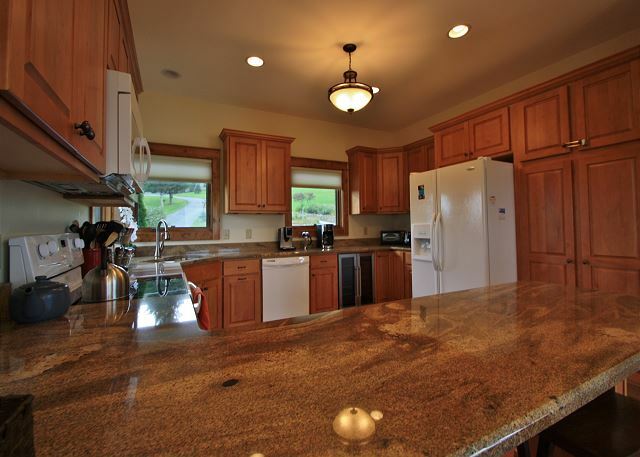 We enjoyed working with you, and happy to hear that your family enjoyed the home. We hope to see again soon! I have rented houses and cabins for our family trips for years. everyone agreed this was the best.